Adequate sleep on a regular basis is as essential to well-being as the air we breathe. Proper rest is necessary for maintaining cognitive sharpness, emotional balance and cardiovascular health as well as the efficient functioning and synchronization of all our physical systems. Conversely, inadequate sleep can be highly detrimental to health. HeartMath’s range of tools for achieving regular sleep – a challenge 50 million to 60 million people face in the U.S. – have been producing positive results for many years. Research indicates stress is a leading cause of abnormal sleep patterns and a common trigger for both short-term and chronic insomnia. 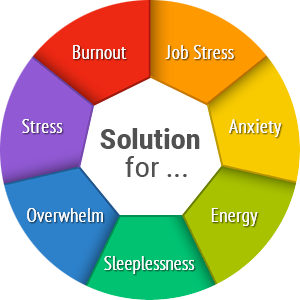 Stress can result from health concerns, depression and anxiety among other causes. Especially common causes are today’s lifestyles and the rapid pace of modern life. Technology, world events and our ever-increasing knowledge about our world and the universe seem to have put time on a relentless treadmill. Keeping up wears out even the most determined and leads to worry, anxiety and fear, all of which can inhibit sleep. HMI researchers say stress creates incoherence in our heart rhythms, and when the heart is out of sync normal sleep patterns can be disrupted. Coherence, also known as heart-rhythm coherence, is a state of mental, emotional and physical synchronization and balance. Coherence not only helps us renew and sustain energy, but also is linked to significantly less fatigue and exhaustion, improved mental abilities – and better sleep. Coherence allows all of our systems to function properly and improves our ability to take charge of energy distribution and conservation in our daily activities. Thus, HMI researchers say, it’s not the depletion of internal energy that helps us achieve beneficial sleep or even necessarily fall asleep. Rather, the ability to replenish, sustain and efficiently manage energy ultimately increases the capacity to reset our system for better sleep. For a U.S. Centers for Disease Control article about the detriments of insufficient sleep, click here. 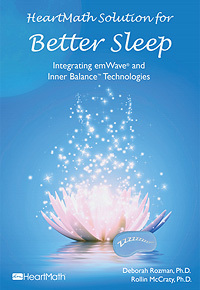 The Quick Coherence® Technique will help you increase heart-rhythm coherence, which is vital for regular, beneficial sleep. Practice these simple steps a few times daily, especially in the morning and before bed. Focus your attention in the area of the heart. Imagine your breath is flowing in and out of your heart or chest area, breathing a little slower and deeper than usual. Make a sincere attempt to experience a regenerative feeling such as appreciation or care for someone or something in your life. Wake up refreshed, ready for new day. Increased mental awareness, concentration, focus. Body energized and alert; less potential for accidents. Reduced risk of illness, disease. 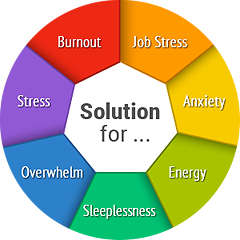 Research shows one of the most effective and lasting solutions is managing stress, the No. 1 cause of sleeplessness. The HeartMath Solution for Better Sleep guides you through a proven five-step program for achieving more restful and beneficial sleep every day.